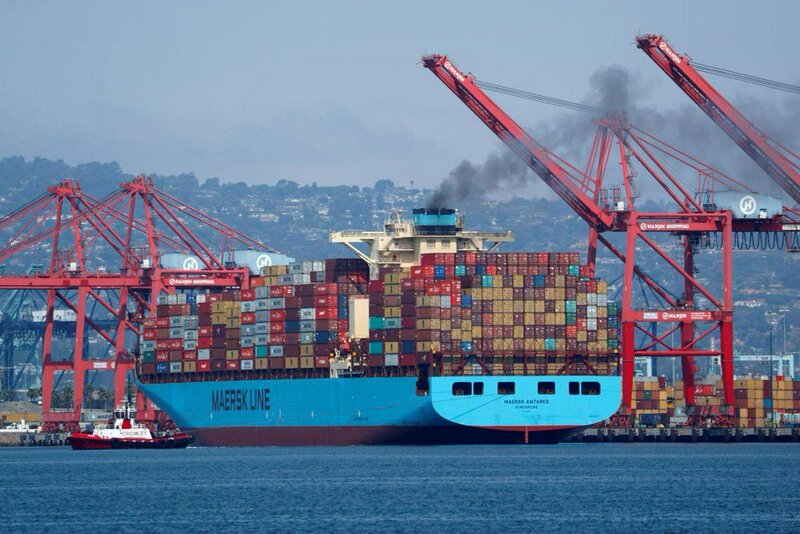 Economists polled by Reuters had forecast the overall trade deficit rising to $53.6 billion in September. The politically sensitive goods trade deficit with China jumped 4.3 percent to a record high of $40.2 billion in September. The goods deficit with China rose by 4.3 percent in September to a record $40.2 billion. In September, imports of goods and services increased 1.5 percent to $266.6 billion, an all-time high. Mainstream economists view trade deficits as the result of an economic reality unlikely to yield to changes in trade policy: Americans buy more than they produce, and imports fill the gap. Perhaps most troublingly for long-term U.S. economic growth, Trumps trade war is steering Asian countries — and their billions of consumers — toward non–U.S. trading partners, @paragkhanna writes for @Axios. Forget #Draghi for a minute. 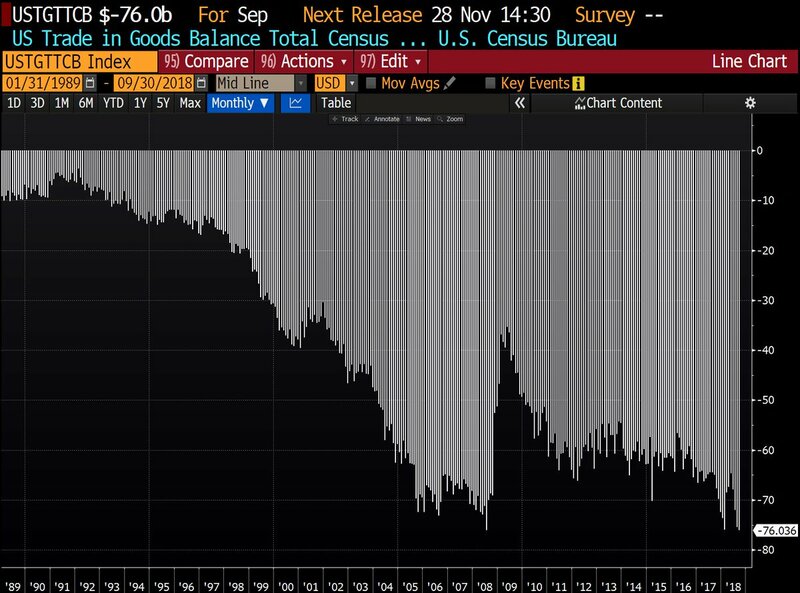 The US Merchandise-Trade (only goods) gap widened to a massive USD 76 billion in October, the largest on record! U.S. trade deficit rises 1.3% in September to $54 billion. 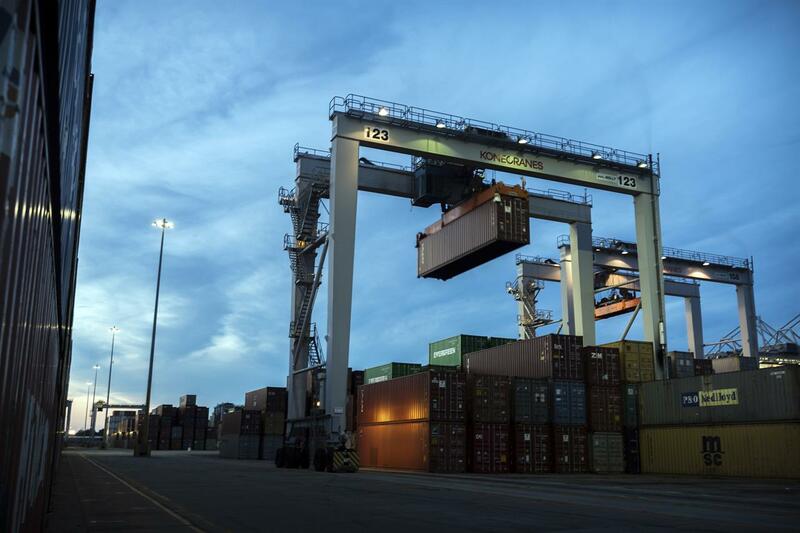 Imports up 1.5% to record $266.6 billion. Exports also increase 1.5%, to $212.6 billion. Deficit with China hits new record despite tariffs. Trade gap on track to reach 10-year high in 2018. U.S. exports of soybeans, targeted for retaliatory tariffs by China, dropped 29.4 percent in September.